Since I showed you so so many photos of this work in progress in the tutorial post on carrying yarn up the side in crochet, I thought I'd share with you how it looks finished. Since the baby is due mid-August, near the end of the Northern Hemisphere's summer, I thought I'd make it in the 6 month size. 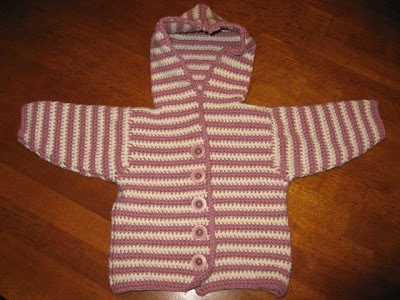 It's quite a bulky warm cardigan and it would have been perfect for deep winter freezes. 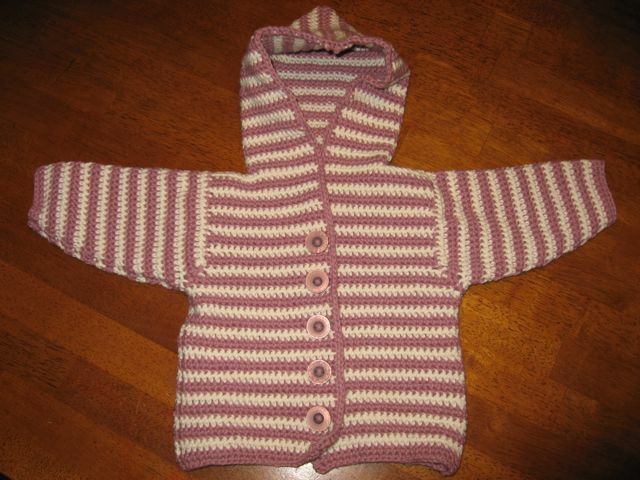 But because my yarn was on the heavy side, the sweater ended up closer to the measurements for a one-year-old. Just goes to show how important doing a gauge swatch is, even with crochet. I found buttons that matched perfectly, and it's good that they're extra big, because with wriggly babies, it's nice to not have to fiddle around with dainty little buttons. EXCELLENT edging..my my you are a little talent! So gorgeous! 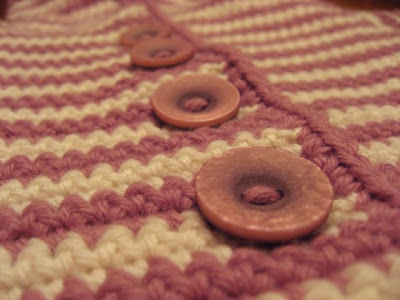 I love the colour and the buttons! I really love that dusky rose colour... very cute hoodie.